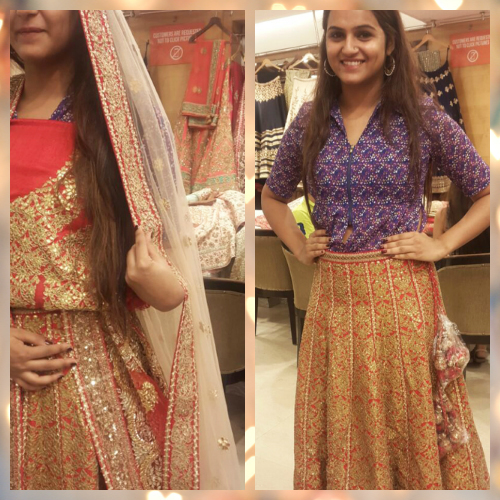 #ShaadiDiaries: What I Learnt From My Bridal Lehenga Fitting! A life + style blogger, a Bollywood addict, a home baker, an army brat who loves Indian weddings and a true Punjabi, Devina from Guilty Bytes is all set to get married this November. And the pretty bride-to-be will be sharing all the little details of her bridal journey with us! Here’s the sixth post from her #ShaadiDiaries. Click here for the previous post on her pre wedding shoot! I could barely contain my excitement as I walked through the alley at Frontier Raas. It was finally the day for that most awaited thing - the bridal lehenga fitting! I was really excited to see how the dress was coming along and what my lehenga FINALLY looked like. I had butterflies in my stomach since I had opted for a red lehenga with embroidery that I had only seen on a sample pink lehenga. I had no idea how it would look on red! Call me traditional, but I always saw myself wearing red at my wedding. I saved the rest of the colours for my other functions. The moment they brought out my lehenga, I was left speechless. It was perfect in every way! It was just how I had imagined it would be and all my worries and apprehensions vanished into thin air. 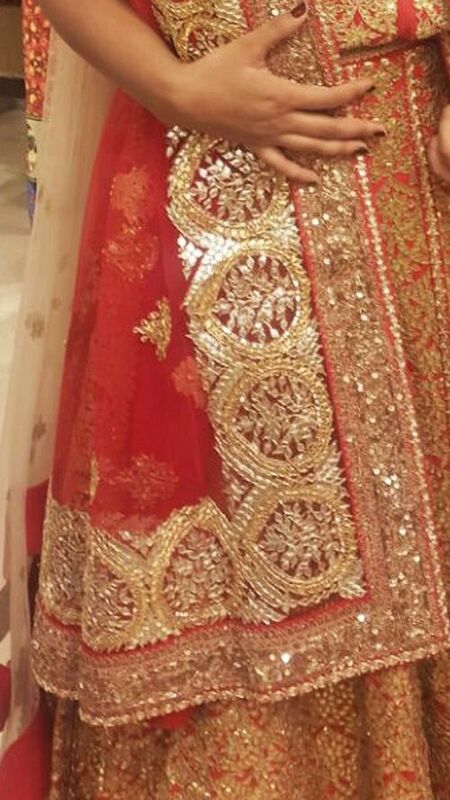 The lehenga indeed looked even more breathtaking in red and the intricate gold embroidery had come out beautifully. It was everything I had dreamt it would be. Also read: #ShaadiDiaries: I Did My Pre-Wedding Shoot With… My Besties! I had delayed the blouse stitching for I was hoping to lose some kilos - which I am glad to say I did! So, I finally gave my blouse measurements while admiring the work on the unstitched blouse piece. I opted for double dupattas and was glad that the head dupatta had been dyed in a muted undertone (and not pink, which has been done to death!). I was not sure as to how much volume I would like my lehenga to have and so initially I opted for only one layer of can-can. For the final finish I have asked for 3 layers! I just want it to look MAJESTIC! Also read: #ShaadiDiaries: How We Planned Our Dream “Save The Date” Shoot! 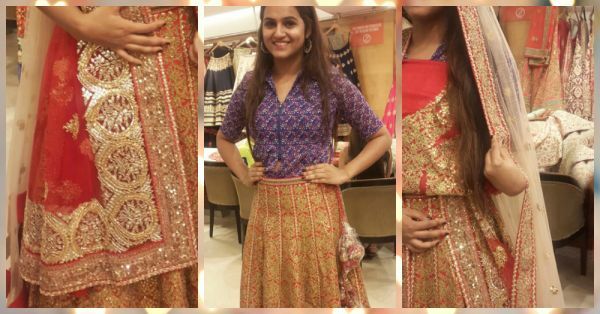 Here are some quick do's and don’ts that I picked up from my lehenga fittings: 1. Never wear a dark lipstick to your lehenga fittings. I wore one and realized that it wasn’t complimenting the blouse colour and made me look dull. I wiped it off and just dabbed some lip balm and voila, it started to look great. 2. Always remember to sit in your outfit because when I tied it too tight and sat to do the SIT TEST, I failed miserably (owing to stomach breaking up into 2 tires). It was a funny moment, but it helped me decide the final look. 3. Make sure to try the lehenga with your wedding shoes. I carried my shoes and wore it all through my trial to get the right length. 4. Lastly, try and do the trial and fittings a month prior to D-day to give your final set of measurements. I am glad that I didn’t get the blouse stitched before. And yes, I happened to change the back hook style to a side-zip owing to the embroidery work that I figured during the trial. Hence, schedule the trail closer to the wedding! I just can’t wait to show my final look to you all! Next Week: Dressing Up The Mother And Sister Of The Bride!